One of my most memorable experiences with Stetson stems from our Constitutional Law and the Civil Rights Movement course. We traveled to Birmingham, Alabama as part of the summer travel portion of the course and visited multiple historic sites, including the Birmingham Civil Rights Institute, Kelly Ingram Park as well as the 16th Street Baptist Church where the 1963 bombing that killed four young girls occurred. Over the course of meeting multiple civil rights pioneers in Birmingham, we sat down to talk with Douglas Jones, a former U.S. Attorney who while only nine years old at the time of the church bombing, ultimately prosecuted the cases that resulted in the conviction of those responsible in 2001 and 2002. Many of us have learned about the church bombing in school or elsewhere, but the ability to visit and reflect on this historic site while having a dialogue about how lawyers and advocates used the law and social advocacy to promote justice was truly inspiring. A valuable opportunity to appreciate Black history. While the recognition of Black history is certainly not limited to one month, Black History Month provides a valuable opportunity for us to encourage ourselves to expand our knowledge and appreciation of the vast history of Black people in the United States and throughout the world. It is also a time to reflect and celebrate the contributions that Black figures have made to society, including those contributions achieved through the legal process and the dedicated advocacy for equality by people of all races and backgrounds. Whether you learn more about Douglas Jones’ efforts with the church bombing convictions or Fred Gray, a civil rights attorney who represented Rosa Parks and the Montgomery Improvement Association during the Montgomery Bus Boycott, it is inspiring to learn about how the law, in conjunction with the passionate advocacy of a few, can truly affect change. As evidenced by the Abolitionist Movement, the Indian Independence Movement, the Civil Rights Movement and many other movements both past and present, the law is a vehicle that can be used to not only impact those living in that moment, but can also lay the groundwork for many generations and movements to come. As we all take the time to think about the issues that we are passionate about, whether related to the environment, education, criminal justice or other national/global and human affairs, the Stetson Law community continues to celebrate Black history along with the other histories of the world, for it is important that we all know and remember the past in order to learn from it and effectively progress in the future. 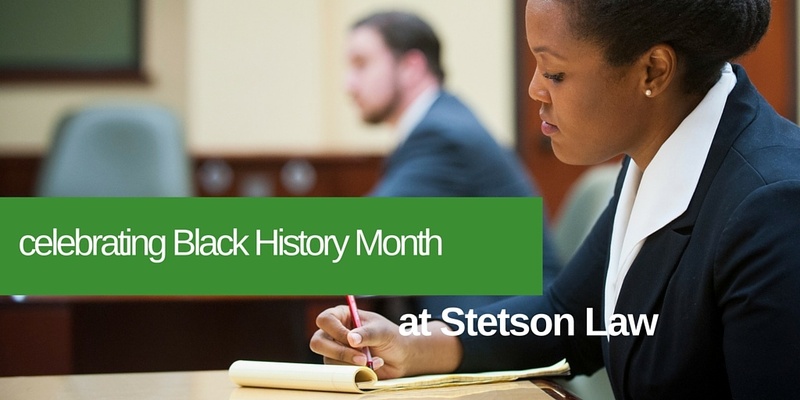 If you are interested in learning more about the Stetson Law community and our dialogues about issues impacted by race and other aspects of diversity and inclusion, I encourage you to check out our recent and upcoming events. 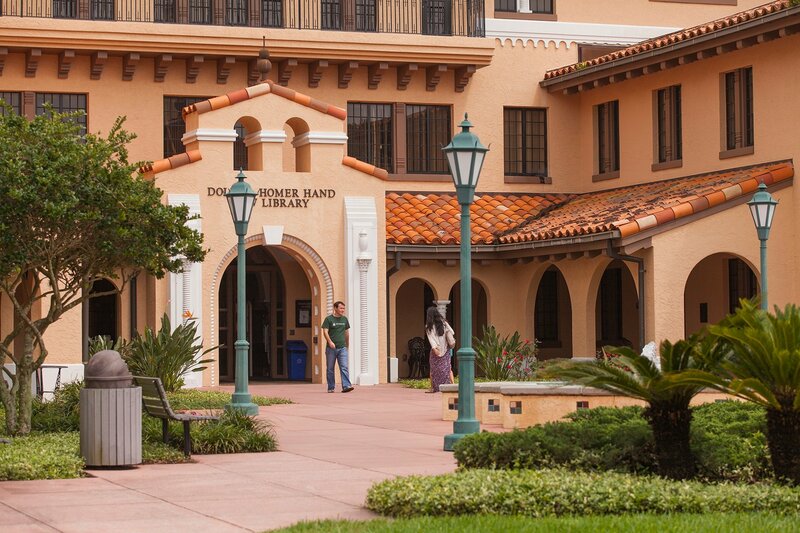 If you are a prospective Stetson Law student and would like to sit in on one of the upcoming events, please email me at cjohnso2@law.stetson.edu. Recent events have included multiple open forums and panel discussions, including a “Grand Juries and Policing in Black Communities” panel discussion, as well as Stetson’s Inclusion Summit, which addressed diversity issues in the legal field and provided workshops on how to confront and prevent microaggressions in the workplace while developing inclusive environments that promote unity and equal opportunities. Black History Month Tabling - all throughout the month of February - provide interactive opportunities for members of the community to learn about important figures in Black history through fun trivia and other games.